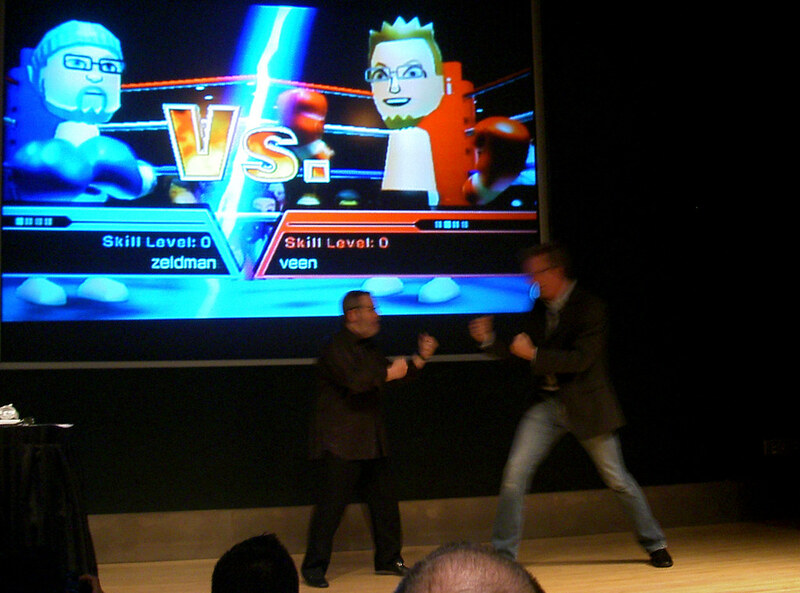 Zeldman vs Veen on Flickr - Photo Sharing! Life imitating art imitating life. The two Jeffs enact the Wii boxing match created by Cindy and Dan.